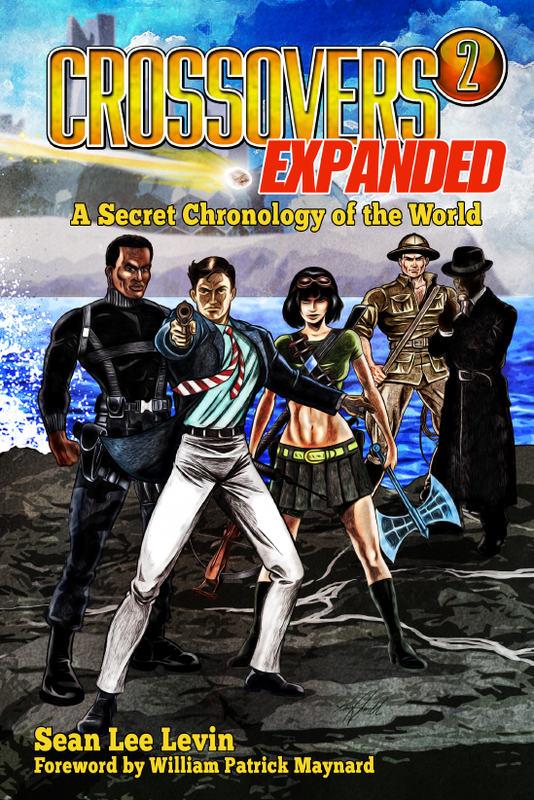 Crossovers Expanded is a companion to Win Scott Eckert’s own epic Crossovers: A Secret Chronology of the World, Volume 1 and Volume 2, and contains over 300,000 words of all-new crossover entries. 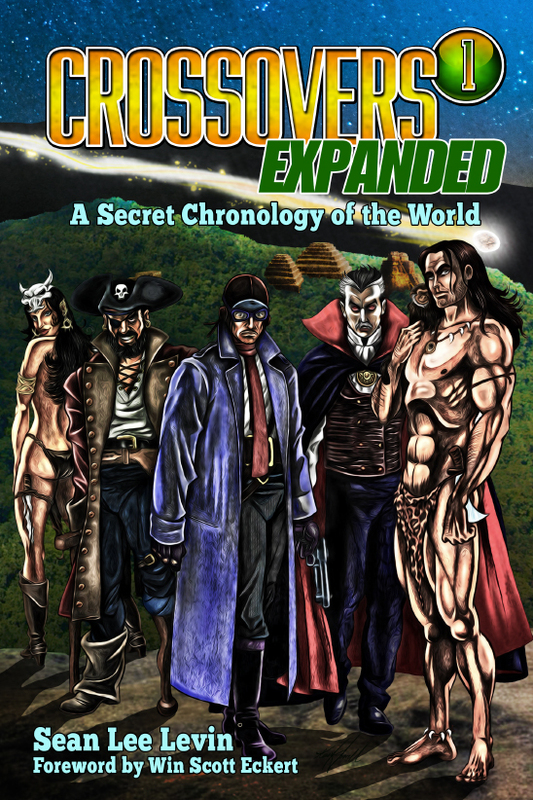 Compiled by crossover and Wold Newton expert Sean Lee Levin, the two-volume Crossovers Expanded includes more than 2000 crossover tales, as well as many timeline entries charting the wider history of the Crossover Universe. Featuring beautiful wraparound covers by Keith Howell, both volumes are immediately available for preorder. Each volume is available for $29 + shipping, or you can buy the set—both volumes—for only $50 + shipping. 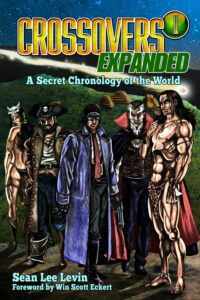 With a new Foreword by Win Scott Eckert (author of the acclaimed two-volume Crossovers: A Secret Chronology of the World, to which these new works by Levin serve as companion volumes), Crossovers Expanded, Volume 1 also includes many book and magazine covers, as well as appendices delving into many television crossovers and Kim Newman’s Anno Dracula series. 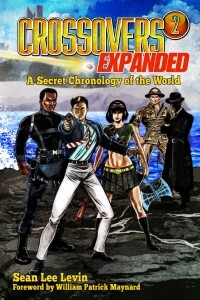 With a new Foreword by William Patrick Maynard (author of the highly-regarded continuation novels featuring Sax Rohmer’s classic character, Doctor Fu-Manchu), Crossovers Expanded, Volume 2 also includes many book and magazine covers, as well as an appendix covering a myriad of alternate universe tales, parodies, and farces which don’t fit into the primary Crossover Universe continuity.